Cooling products are the first line of defense against the heat generated by today's audio video components. Most of these cooling products are simply placed on top of components to circulate air around the component. Components that typically need such protection include: home theater amplifiers, receivers, high-definition cable and satellite receivers, some DVD players and other computer controlled components such as video processors, media servers, and game consoles. Dual Fan Unit (CP-DF) - For spot cooling mid- to larger-size components such as amplifiers and receivers. 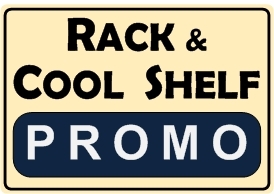 Universal Cooler (CP-UC & CP-UC-2) - For spot cooling or venting (intake or exhaust) racks, entertainment centers, cabinets, recessed TV enclosures, etc. The 2U is most appropriate for rack applications. 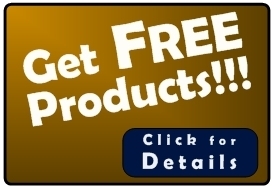 These products come with a Limited LIFETIME Warranty. Cool Components products are designed and manufactured to live a very long life and in fact, indefinitely. This is done using heavy gauge steel housings and engineering to make the products easily serviceable. Of course there are no magic fans and while these fans last a very long time, and do so quietly unlike ball bearing and sleeve bearing fans, they will require normal maintenance and replacement but in a matter of minutes and with minimal expense, the products can be made 'like new' and end up lasting indefinitely. This means, design one system, maintain that system and not have to redesign and start over paying full price for new cooling products every few years like would be required with other cheaper products. This warranty covers the housings and other 'structural' parts of the products. It does not cover the fans which are guaranteed for 3 years and can be changed quickly, easily, and cost effectively. For some applications it may be desirable to power multiple units with one power supply. For applications of this type, please refer to the power requirements listed in the power specifications section of each product to determine the appropriate power supply. Additional power supplies are located in the Power Products category. Note that powering multiple units will require additional power cables which are also located in the Power Products category. Power cable options include short and long y-cables, tri-cables, and extension cables. Avoid Common Misconceptions Related to Cooling Components. At this point, we are tired of looking at claims made by so-called cooling professionals with few to no credentials so we have created this section. 4) Professional Products vs. Fans. We are now seeing more and more products hitting the market that are marketed as audio video cooling products. The fact is that while the principles may be the same between the 'garage' vs 'professional' products, much more goes into the products than just selling a fan and power supply. The fact is that not all fans are created equal and trust folks with a closet full of 'fans' on that - we spent two years testing and rejecting fans before specing specialty fans.